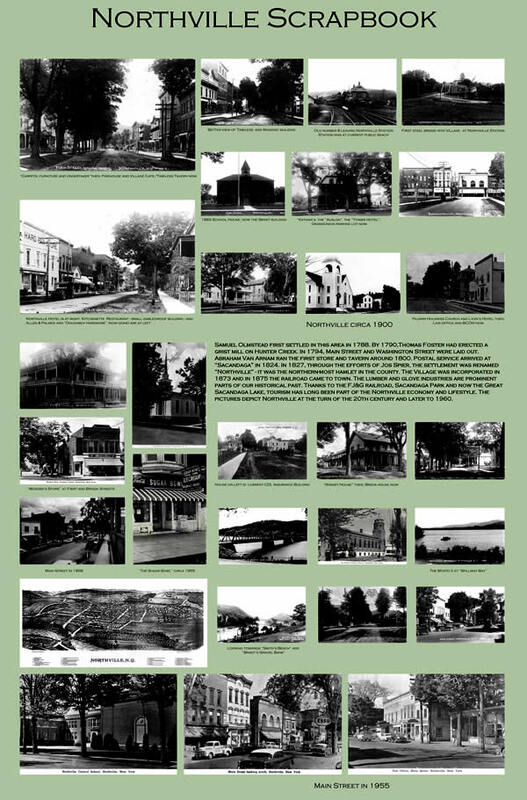 The purpose of this web site is to promote good stewardship of Northville's historic architecture. Opinions expressed on this site represent those of Sacandaga Consultants - advising in the restoration of historic properties. The Village of Northville and the Town of Northampton have a wonderful collection of historic structures worthy of preservation. To encourage good stewardship of these structures the Town adopted in 2003 a Historic Landmark Ordinance. The Town Board demonstrated great foresight by doing so. Through a Local listing process the Ordinance provides tax abatement to property owners who undertake major restoration work on qualifying properties. The Ordinance aims to tip the balance to preservation away from demolition. The listing process prescribed by the Ordinance can provide an easy path towards NYS and National Historic Register listing. This gives access to additional tax credits and grants. For a few years, the Village of Northville participated in the Ordinance but then bowed out citing concerns about regulations and control. An alternative path for Northville residents to access tax credits - but not property tax abatement - is to create a Historic District in the Village and apply for a listing on the NYS and/or Federal Register. Based on a historic resource survey completed in 2010 by the Landmark Commission, a Northville District could succeed. A major advantage of a District is that all properties inside its boundaries qualify for tax credits. The reality is that property owners struggle with the individual listing process. Once a District is NR listed, the paperwork is minimal. NYS has recently renewed its tax credit program till 2019, allowing a total credit for up to 40% of allowable renovation cost - 20% NYS and 20% Federal. There is also a credit available for smaller home projects. What is not to like about this? Contrary to common beliefs, a district listing does not restrict owners in the use of their property. Other Upstate NY communities with building inventories and a Main Street not unlike Northville, have created a Historic District. Historic preservation can be the driving force of economic development and Main Street revitalization for many communities. The cost of the survey was funded by the NY Preservation League.